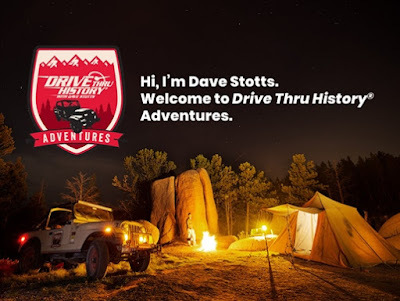 It's hard to think of a more entertaining way to learn about history than with the Drive Thru History Adventures with Dave Stotts that we had a chance to review recently. 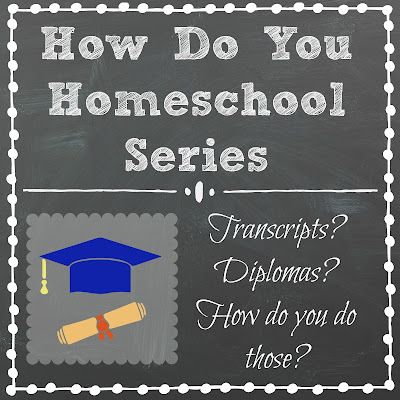 And this is more than just the set of DVDs - it's an entire Homeschool Video Curriculum that covers History and Bible topics. Join us for a quick drive-through of what this subscription website has to offer! Drive Thru History Adventures is a website that brings together the best of the popular Drive Thru History videos with additional curriculum and resources. Dave Stotts has been inviting viewers along on his exciting road trips through history for fifteen years, and this new adventure combines the on location videos with additional reading and study, discussion questions, and other resources. There are currently three courses - Bible History, American History, and Ancient History. 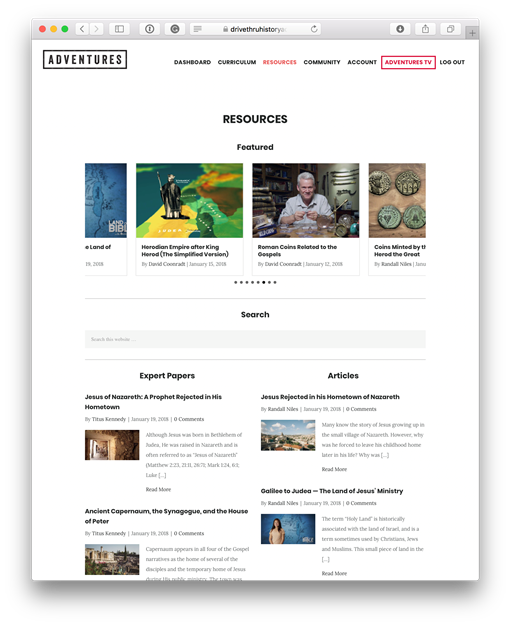 The Resource section contains an array of additional articles and expert papers, Side Road videos (discussing history topics like President's Day, Roman coins, and Election Day), a set of Getting Started videos explaining how to use the curriculum, and Behind the Scenes videos (with Museum of the Bible sneak peeks and blooper reels). 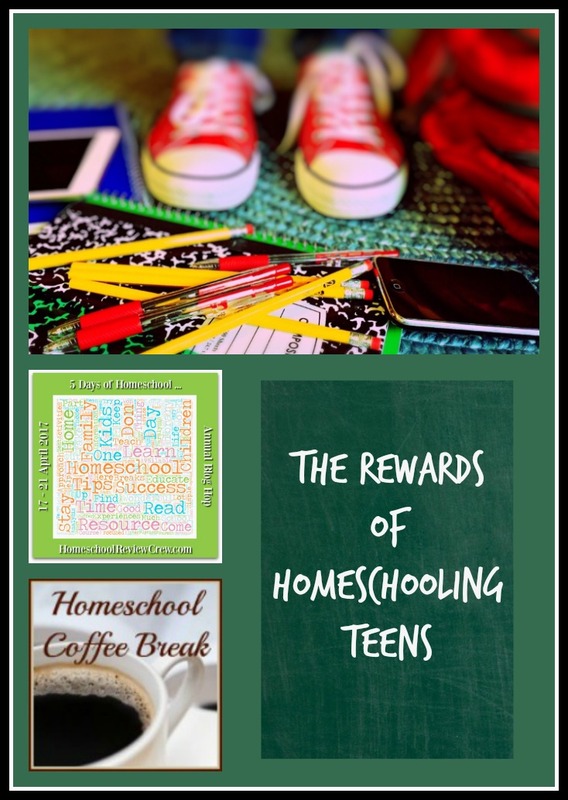 The Resource page is also the one stop for all the suggested readings, worksheets, and answer guides (pdf downloads), and the Dig Deeper sections of the curriculum. There's also a Community page where you can access the members only Facebook group devoted to Drive Thru History Adventures. How did we use it? 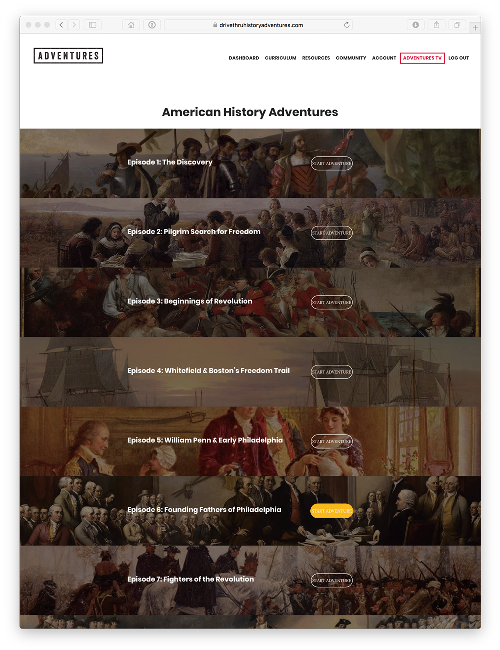 Kennady is doing World History this year, but is already into the 1800s, so our plan was to take a look at the American History curriculum and see where it intersected with the topics she's covering in her World History course. And since she will be doing a full year of American History next year, we had an eye to how we could use the full curriculum then. I've been downloading and previewing all the discussion questions and the suggested reading in the American History curriculum, and we've watched almost all the videos. I've watched almost all of it myself, and Kennady has watched some with me; and whenever Dad or one of the brothers walked by while I had a video playing, they couldn't help but stop and watch. 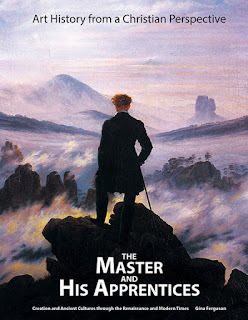 Stotts is having the time of his life sharing the fascinating historical sites he visits, and there are plenty of humorous asides thrown in to keep everyone's attention. And when he starts talking cars or food, that sparks their interest too! So American History is a twelve-week course, covering the time period from Columbus to the end of the Revolutionary War and the nation's early days under the U.S. Constitution. In the first video, you'll get to do a quick drive through Roman, Greek, and Christian history to understand the impact on the American adventure. Then in the next lessons you'll drive through New England and learn about the pilgrims and why they undertook the difficult voyage to the New World. You'll drive through Philadelphia and meet William Penn and the founding fathers. (And you'll stop for a cheesesteak!) You'll drive through Virginia, New York, New Jersey, and more; and you'll learn about the Revolution and its leaders, and the Declaration of Independence and Constitution and the framers. 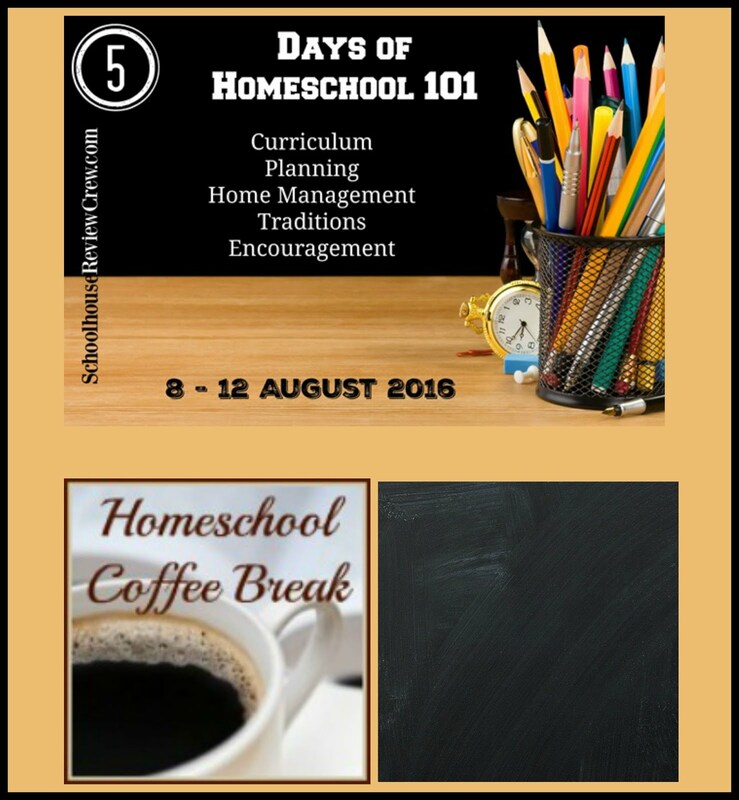 Each lesson includes a video - about a half hour long - a summary with artwork and photos, some suggested reading, a Side Road (background or related information), worksheets and discussion questions, and a Dig Deeper section with additional articles or updates. 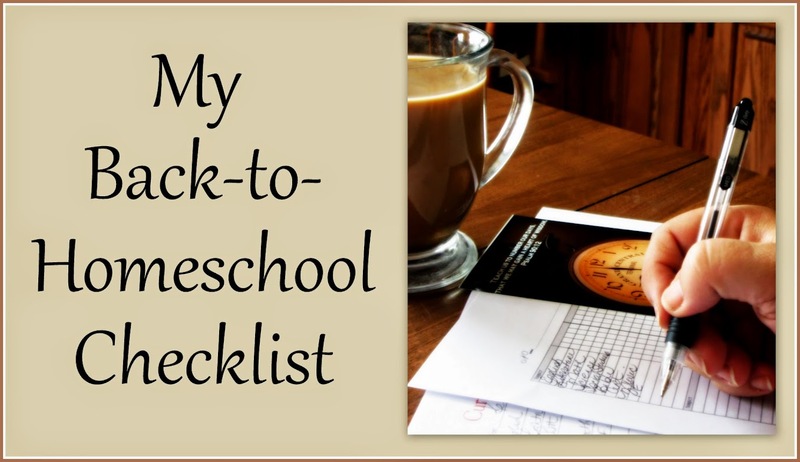 The worksheets, answer keys, and suggested readings are all available as pdf downloads. I also decided I had enough time to doing a little driving through the Ancient History Adventures. This course is twelve weeks, and explores the Greek, Roman, and Ottoman Empires. You're invited to travel along through Rome, Athens, Corinth and many cities of Asia Minor, Turkey and what was once the Ottoman Empire, Constantinople, and more. You'll learn about Caesar Augustus, Nero, the Punic Wars, Homer, the apostle Paul, Alexander the Great, the early Christian church, and how the defining principles of Christianity changed the world and influenced the founding of America. I was excited to find that this course is not just focused on the ancient cultures, but discusses their relevance to the spread of Christianity and the rise of Western civilization. In fact, the succinct explanation of how the British carved up the remainder of the Ottoman Empire after WWI and created the country of Iraq helped make sense of the continuing conflict in the Middle East and why the people of Iraq are not always unified. Okay, it looks like I've slowed traffic to a crawl here, so let me move on and explain the website features a little bit. 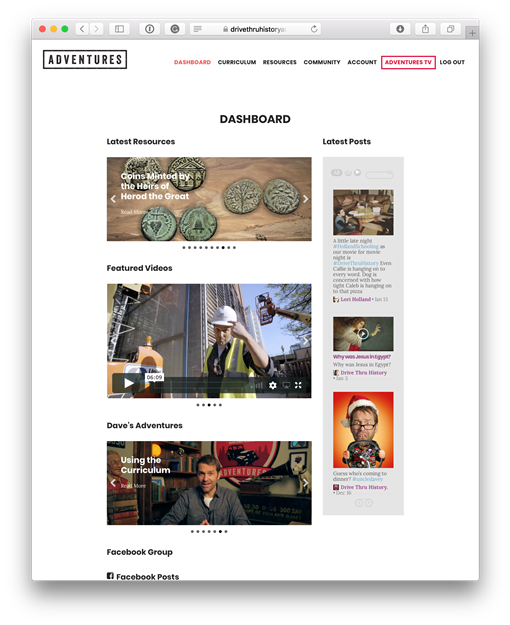 The Dashboard is the hub of all the resources on Drive Thru History Adventures. 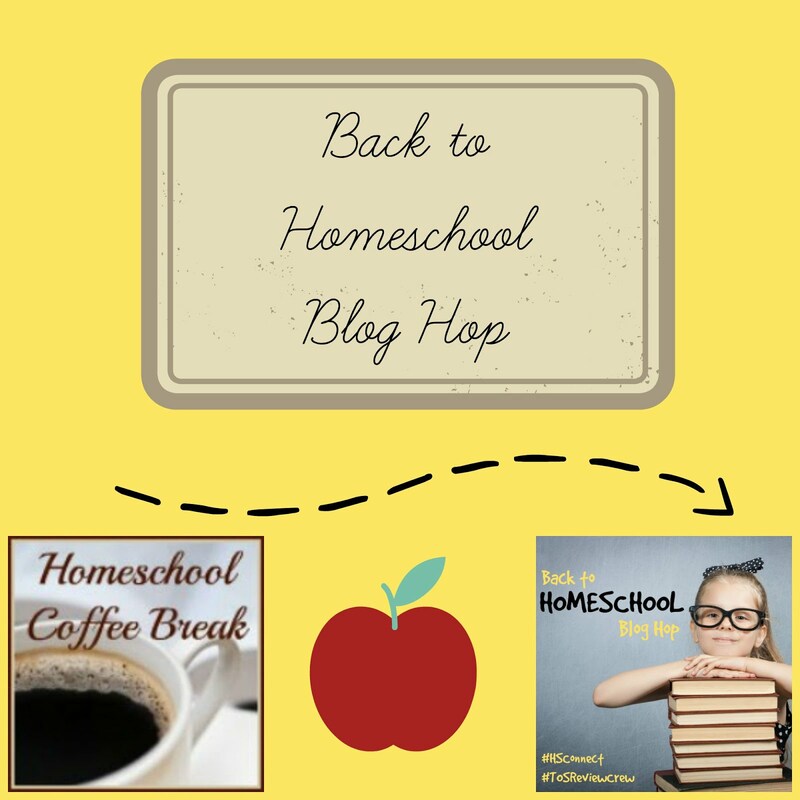 Here, members will find the latest resources added to the site, the Facebook group feed, and the links to all the featured videos and articles. I've been enjoying the little Feature "Dave's Adventures" each week. These are short videos (about five minutes tops) in which Dave highlights something from Drive Thru History and chats about everything from the history of Groundhog Day to the wonders of penicillin. And finally, let me tell you a little about Drive Thru History Adventures TV. This is an app that allows you to take all the videos from the history adventures with you on your phone or tablet. 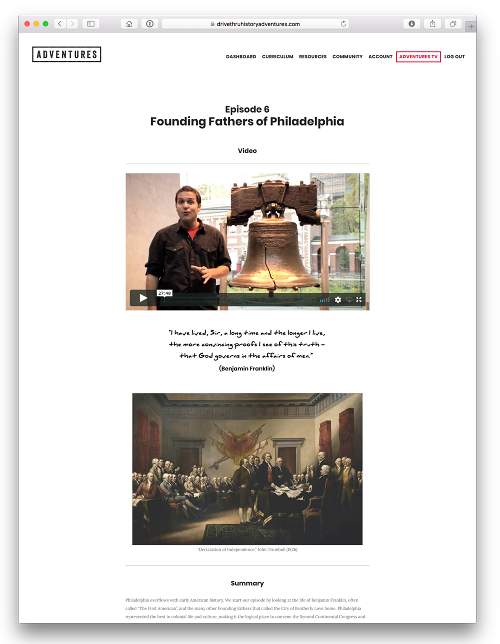 You'd still need to go to the website for the pdf documents of the readings and discussion questions, but you can watch all those videos on the go! The app is available for iPhone, iPad, Android devices, and if you have Chromecast, you can even use that. 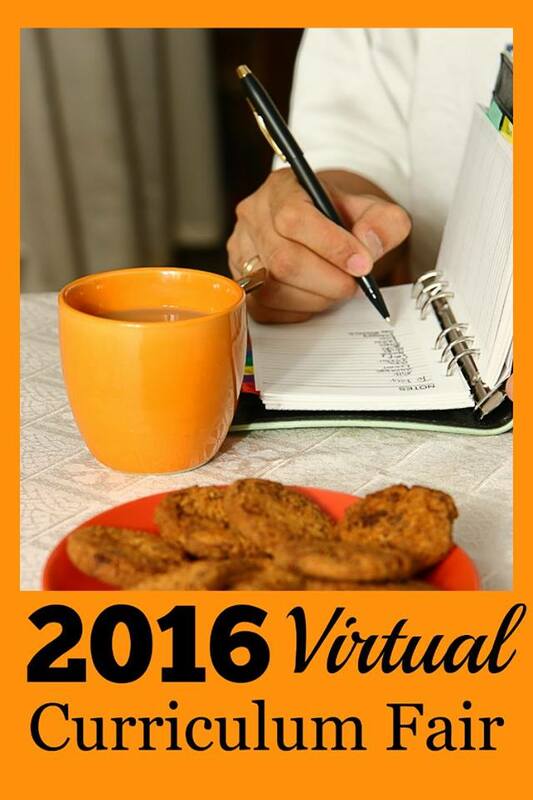 The videos are fast-paced and pack a lot of information and visual appeal into each episode. 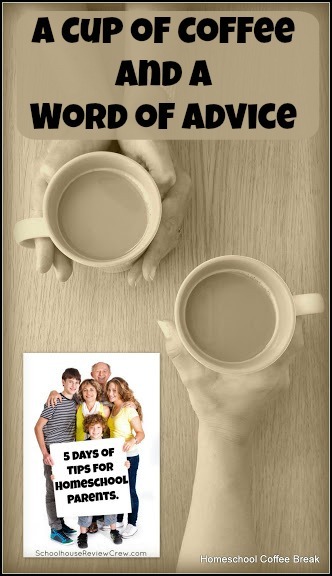 It's a fun way to learn history, light-hearted but accurate and insightful. And puts valuable geographical context to the history being presented. The accompanying curriculum is pretty flexible. Just need an overview or wanting to use this as a refresher course or to accompany other history? Watch the video and look at the Discussion Questions. 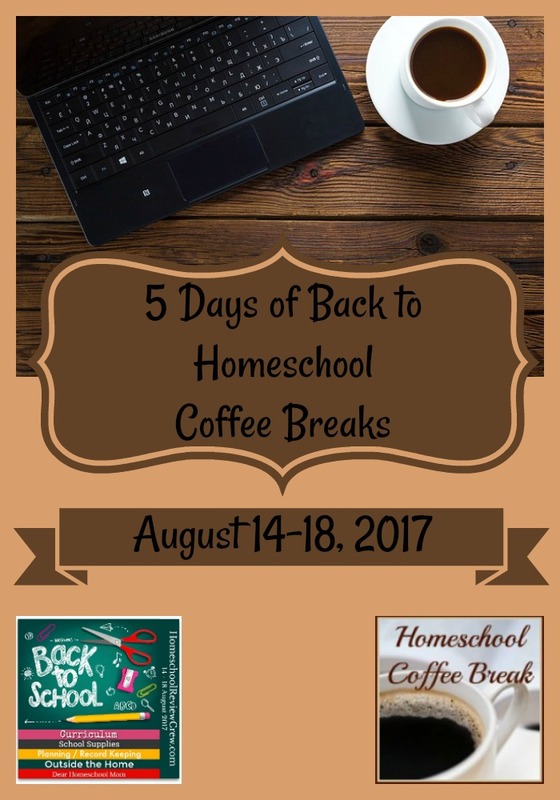 Using it as a full curriculum? 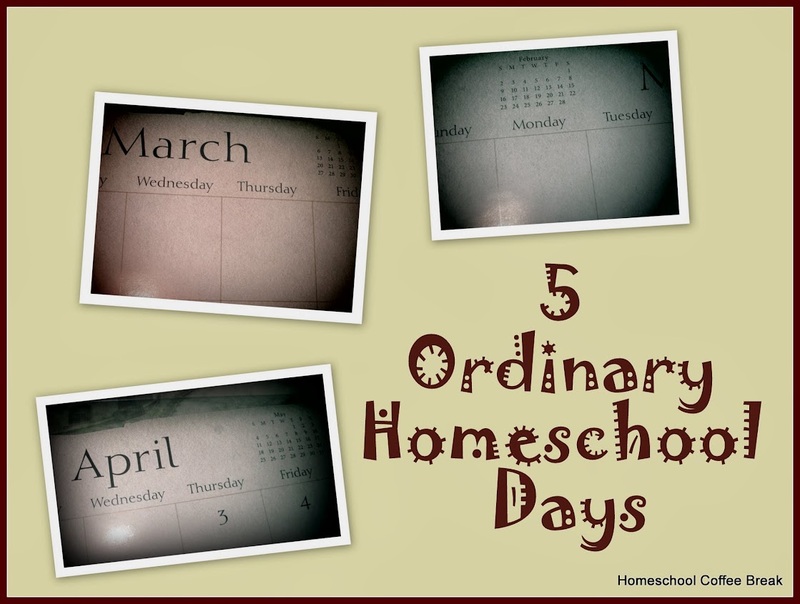 Watch the video, do the questions and worksheet, spend the time to fully explore the Side Roads, Dig Deeper, and the Suggested Readings. Do take the time to watch Dave's Getting Started series of videos to get familiar with the site. The videos are short and entertaining, and I always find a visual explains a how-to better than just the words. 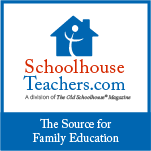 The Answer Guides are accessible on the website right next to the Worksheets - in other words, there's not a separate "parent" part of the website, so you may want to be aware of that. Our bottom line: Honestly, we'd enjoy this for the videos alone! 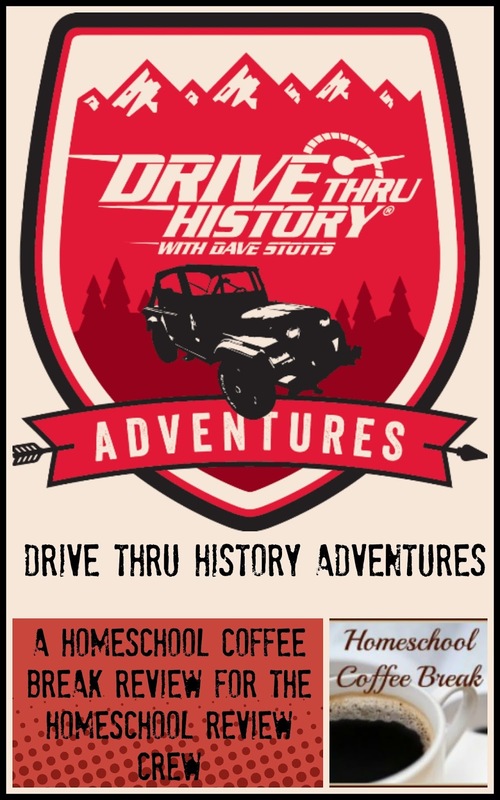 But the addition of the curriculum and all those extra resources here in one fun and convenient website makes Drive Thru History Adventures even better! I thought the topics in Ancient History would be simply the ancients, but found out that some of it is relevant to the much more recent world history that Kennady is studying. I thought the American History course would stick only to what happened on American soil, but the videos took us to England and Netherlands as well. Not only did we greatly enjoy driving through selections of the adventures now, we are definitely looking forward to another drive through the American History course next year! Pricing: Subscriptions are available monthly for 12.99/month or annualy for 124.99/year. There's currently a special offer for a free set of The Gospels with your annual subscription. Visit the Join Now page for all the details. 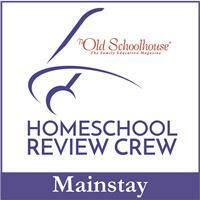 Or, look for the special 20% off for readers of The Old Schoolhouse. 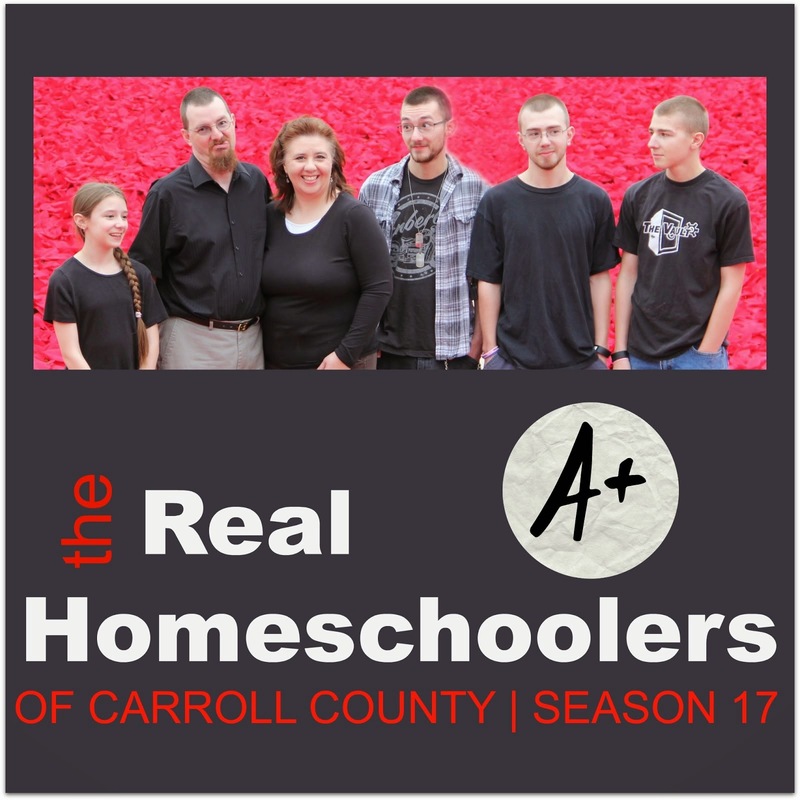 You'll find it advertised in the Winter Edition of The Old Schoolhouse Magazine (digital edition). Age Recommendations: Best for ages 12 and up, but younger children can certainly enjoy the videos! You can follow Drive Thru History on Facebook, on Pinterest, and on Instagram.